hd00:08Klin, Moscow State, Russia - 31 August 2018. The State Memorial Musical Museum of P.I. Tchaikovsky in Klin. 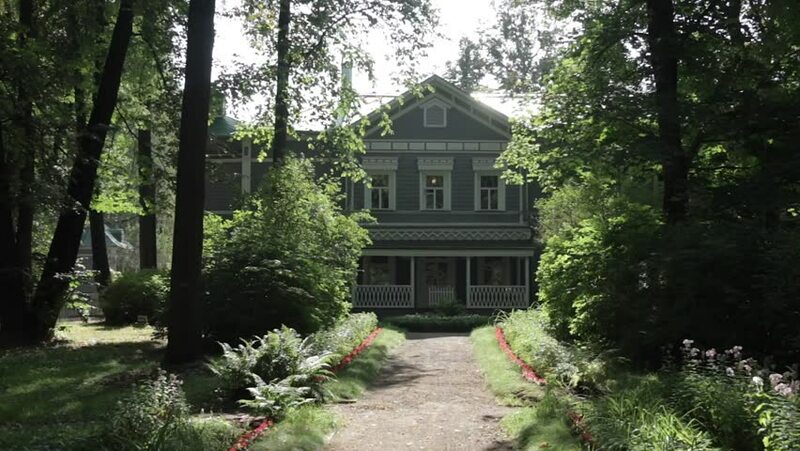 View through the trees of front part of memorial house in which P.I Tchaikovsky Lived.